Blueberry Lemon Ricotta Muffins: A Love Story | Food E.
If I could, I would make everything into a pancake. The lemon/blueberry combo idea has been on my mind for weeks and weeks, so naturally I decided I would make them into pancakes along with the tub of ricotta I had in the fridge. But The BF not-so-subtly reminded me that I had made pancakes every weekend for 2 weeks and maybe not everyone is cool with a steady diet of pancakes… I don’t claim to understand those types of people, and maybe I never will. 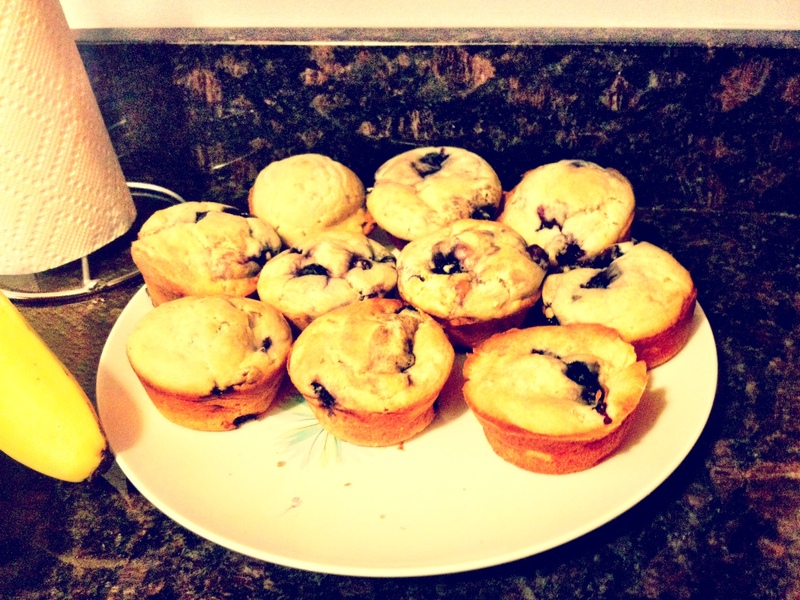 In any case, I gave in and made the next best thing: muffins. And let me tell you kiddies… these are good. Really, really good. If you’ve never baked with ricotta before, or have been skeptical, these will have you singin’ a different tune. In a medium sized bowl, whisk together flour, sugar, baking powder, and salt. In a large bowl, use an electric mixer to blend together the ricotta, milk, and butter until completely blended. Beat in eggs one at a time. Add the lemon zest and mix well. Slowly add the dry ingredients into the wet ingredients and mix together just until incorporated. Add the blueberries and stir together with a rubber spatula*. Your batter should be relatively firm, but if it’s on the dry side you can add just a splash of milk. Divide batter evenly into 12 pre-greased or lined baking cups. Bake for 26 – 30 minutes, or until the tops are a light golden brown color. Remove from the oven and let cool on a wire rack for around 15 minutes. Remove from the pan and let cool completely. *Note: fresh blueberries are very delicate and you’ll want to be careful mixing them into the batter so they don’t get squashed. And yes… squashed is a technical term. Your muffins sound terrific. I can’t wait until the wild blueberries in Maine are in season. They will be great in your recipe and perfect when we have house guests at the lake.